Google has just announced the release of its Assistant for iPad, which is now available for download in the App Store. With support for English, French, German, Italian, Japanese, Portuguese (Brazil) and Spanish, the Assistant on iPad can do everything it can on your iPhone, with the added benefit of a bigger screen that supports both portrait and landscape mode. 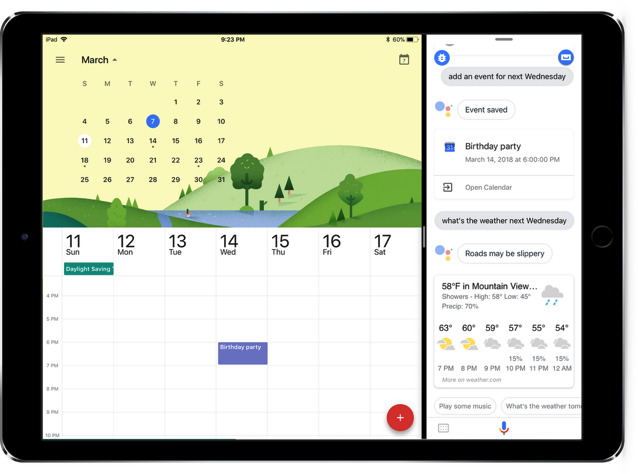 In addition, iPad users can also multitask with iOS 11, allowing them to chat with the Assistant while they play a game, plan a trip or check their calendars.